Have storage shed questions? Mainus Construction has you covered with over 30 years of shed building experience. We provide helpful answers and dedicated service to deliver top quality sheds customized to your unique needs. Check below for a list of our most frequently asked questions, or call Mainus Construction with any inquiries about our excellent service. Contact the best shed builders in Wisconsin today for your custom storage solution. What about DIY shed kits & plans? What are Amish style sheds? What kind of site preparation is required for my new storage shed? How soon should I paint my shed? I want a shed in my enclosed garden. How will you deliver it? What shed materials do you use? What type of sheds can you build? If you want a DIY storage shed kit, you need to know a few things. When you buy the kit and plans, it then becomes your responsibility to assemble the shed correctly. Depending on your level of experience and amount of hands working on the project, construction can take anywhere from 2 days to 2 weeks. Previous construction experience is highly recommended. Warranties aren’t available for the shingles and siding on shed kits, either. For the warranty to be valid, the installation of shingles and siding needs to be done by someone certified to install those things. The number of options are also pretty limited when you buy a shed kit, and add-ons aren’t really an option unless you’re going totally off the plans and coming up with your own additions. Venting is one thing often not included in a DIY shed kit. Venting is important to keep the shed mold-free, and you’d have to add these by yourself. People have complained to us about their kits not lasting very long, which may or may not be due to the person’s construction skills. If you still want to get a DIY storage shed kit, go ahead. We just want you to know what you’re up against. People often call well-built sheds Amish style sheds. And if that's all it takes to make something an Amish style shed, then we make Amish style sheds. Real Amish sheds are made by Amish people, a traditionally hardworking people. That's why they've become a synonym for well-built sheds. It is the homeowners responsibility to have the site ready for the arrival of your new storage shed. We need a level pad to build/set your new shed onto. Your new building can be built right on the existing grade of most backyards. The pressure treated skids that rest under the building are engineered for direct ground contact. You will need to provide a level site for your building. This is the most important part. It is highly recommended that the ground does not slope more than 2-3". However, any place where the grade slopes no more than 6" is suitable. The more the ground slopes the more additional leveling materials are required, which raises the floor of the shed off the ground. We level the skids under the building up to 6" with patio blocks and asphalt shingles. If your site is not completely level our only option is to use these items to level the building which takes away from the overall appearance of your shed. Provide at least 2' of clearance from any trees, fences, overhanging limbs, and other immovable objects. If your site is extremely soft or slopes more than 6" in the area you've selected additional site preparation will be required before we arrive to build your shed. We recommend traffic bond type gravel if you are going to put down a gravel pad. Proper site prep insures less problems down the road. Additional leveling charges may apply if the site does meet the requirements. 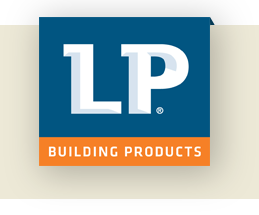 Customers have 180 days to paint their new shed after installation according to the LP Building Products warranty. Mainus Construction sheds use LP Smart panels for siding, meaning they come pre-primed and waterproof straight from the manufacturer. If the weather isn’t right for painting or you simply don’t have time, wait until a paint job is convenient for you. Our sheds will easily withstand rain, snow and ice without any work on your end. If your back yard isn’t accessible by truck and trailer, or there’s simply no opening wide enough for the shed you want, look no further than Mainus Construction. We’ll build your shed on-site with the same quality craftsmanship and materials customers have come to expect from our custom shed building shop. This is one of the many areas where we truly outshine the competition. Most Milwaukee “shed builders” simply buy storage sheds from a third party and sell them to you for a premium. They can’t help you if you have any kind of special requirements for your storage shed. Mainus Construction has been building our own sheds for 30 years. If you can dream it, we can build it. It is up to the homeowner to call their local building inspector to see what requirements your local municipality has for storage sheds. Some municipalities require a permit, some do not. We build so many sheds all over southeast WI and northern Illinois, it is impossible for us to keep track of what every municipality requires as far as permits. Also remember that some subdivisions also have homeowner associations that have certain requirements that may need to be met as well. The first 20 miles from our shop in Waterford are free. After that we charge $3 per mile one way loaded for delivery of your new custom built storage shed. Our shed siding and doors are constructed from LP Smart Trim and Smart Panel products. These engineered wood panels provide long lasting weather protection and the lowest maintenance costs on the market. LP Smart Trim and Smart Panels come with an excellent 5/50 year manufacturer’s warranty. Mainus Construction sheds are built using wooden studs, joists, runners and rafters, similar to the structure of your home. All of our shed roofs feature galvanized metal drip edge flashing to stop moisture penetration. We finish floors with high quality BCX plywood, giving your floor a very attractive finished wood texture. All of these materials are completely interchangeable and customizable as per local building codes and the customer’s personal preferences. Mainus Construction is able and willing to deliver whatever shed fulfills your unique storage requirements. We do! Mainus Construction builds storage sheds from the ground up, so we know the ins and outs of every shed we sell. Most shed companies just buy pre built sheds or hire a different contractor every week. If none of their pre-built sheds are right for your situation, you’ll be out of luck or short several hundred dollars. If you have an issue with your shed, those suppliers can’t or won’t help you with the same speed and quality you can expect from Mainus Construction. Almost every shed we build is unique. We’ll never slap you with a higher bill just because you want a door on one side instead of the other. Any type! We’ve built all types of sheds. If you can dream it, we can build it. Our standard sheds are the Gable, Barn, and Quaker styles, but we have no limitations. We’ve built pool house sheds, sheds for racing pigeons, fully functional bathrooms, and countless other custom sheds. Contact Mainus Construction with your ideas today.